Ted has this habit of tying a bandanna around his forehead when he does yard work. 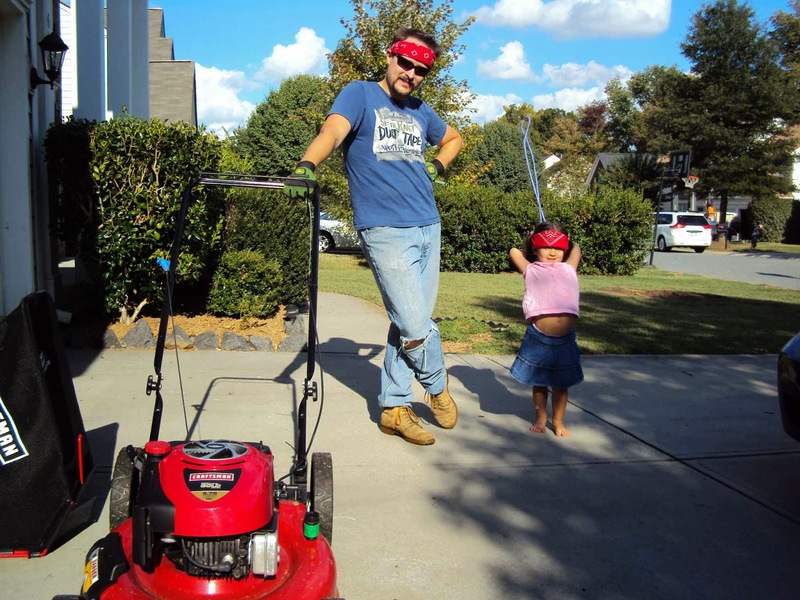 So, it's no surprise that Katy insisted on having her own bandanna when she went outside to "help" Daddy, this past weekend. How cute are those two in their matching red bandannas?